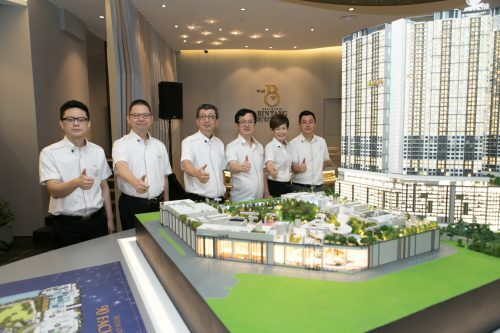 25 November, KUALA LUMPUR – Mah Sing Group Berhad’s (Mah Sing) official preview and unit selection of M Vertica in Batu 2.5 Cheras happening this Saturday and Sunday (25 and 26 November) in SRJK (C) Naam Kheung from 9am to 6pm attracted more than 15,780 registrants of interests prior to the event. One of the selling points of the project is its strategic location in Kuala Lumpur city which is ideal for owner-occupier and investors who are looking to rent. 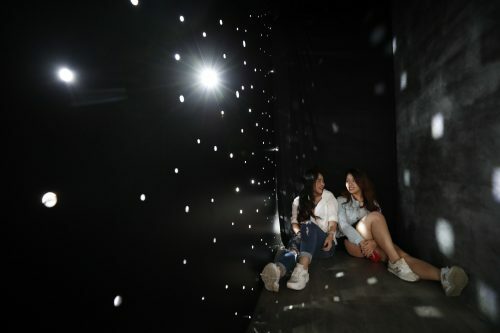 The event is expected to attract more crowds on Sunday with special privilege available for interested buyers when they take up a unit of M Vertica. Due to overwhelming response of Tower A (808 units), Tower B (685 units) may be opened up to match the immediate demand. Indicatively priced from RM450,800, M Vertica offers residential units with indicative built up of 850sqft (3 bedroom) and 1,000sq ft (4 bedroom). The show units in M Vertica Sales Gallery located next to the actual site which is only 500m away from the Maluri LRT and MRT Interchange are available for viewing daily from 10am to 6pm. 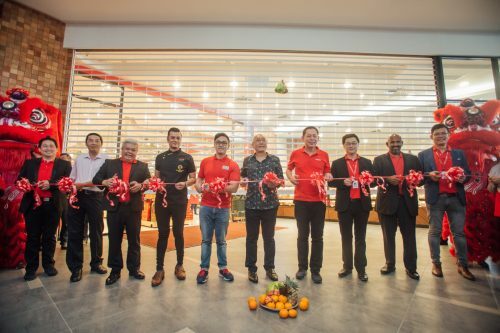 The project with a total gross development value (GDV) of approximately RM2.2billion will also have retail shops for the convenience of residents. It is a Transit Adjacent Development (TAD) with the Maluri MRT and LRT interchange only 500m (7 minutes’ walk) and Taman Pertama MRT Station only 800m (10 minutes’ walk) from M Vertica. Sunway Velocity Mall, My TOWN Shopping Centre and IKEA Cheras are all within walking distance from Cochrane station which is only one stop away from Maluri MRT station. It is also easily accessible via Jalan Cheras and is only 300m away from the Besraya Highway. Registrants started queuing for unit selection early in the morning, as M Vertica is the eagerly awaited final project preview in Mah Sing’s “Reinvent Affordability” campaign which supports the Government’s broad objectives to encourage home ownership. The campaign aims to reinvent what it means to be affordable by providing homes with good product specifications at strategic locations, at a price point many can afford. In October, Mah Sing which is Malaysia’s leading developer for affordable homes received an average take up rate of 95% over one weekend for M Centura in the Klang Valley, M Vista@Southbay in Penang Island and Fern in Meridin East, Johor Bahru. Interest has been strong for M Vertica as Cheras is a mature neighbourhood which has a pent-up demand for well-planned, modern properties. The prime KL city location coupled with the affordable entry level pricing provides an unbeatable value proposition. The development is planned to be affordably priced urban luxury, with flexible layouts from 3 to 4 bedrooms. This is to ensure that the homes are suitable for a wide range of target market including first-time home buyers, working professionals, young families and home upgraders who are looking to live in the vicinity of the city centre. To enhance the lives of homeowners of M Vertica, the residential units are designed to have unobstructed views of the KL city. There is also a link bridge that directly connects every tower to the facilities deck for easy access. “Within the immediate vicinity of the project, we expect to attract many young families looking to buy their first and new home since the majority of them are second and third generation locals who are familiar with the neighbourhood. 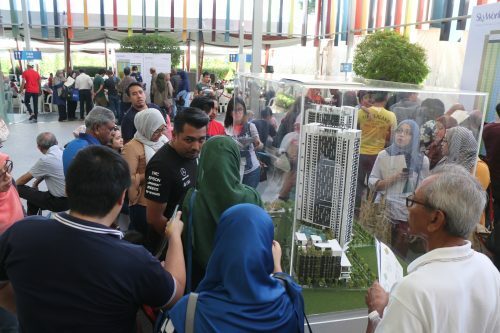 Not only that, adults who are working in the city and investors looking to rent would also prefer to own a home in the vicinity of the city centre,” added Tan Sri Dato’ Sri Leong. The location and product fit well with the current market demand as well as the company’s quick turnaround strategy due to the good connectivity, established catchment, ready infrastructure and amenities within the vicinity. AEON Big Peel Road, AEON Maluri and Viva Home are nearby and there is also a park 700m away from M Vertica which is suitable for various recreational activities. Within 5km, residents can access Prince Court Medical Center, Pantai Hospital Ampang, Hospital Ampang, Pantai Hospital Cheras, Hospital University Kebangsaan Malaysia, SMK Perempuan Pudu, SK Convent Jalan Peel, SMK Seri Bintang Selatan, SMK Seri Bintang Utara, Naam Kheung Chinese National School, Royal Selangor Golf Club and more.